Healthy Thinking Kids trains and motivates children to develop healthy thinking habits for life. Children learn how to handle challenging thoughts common to childhood, such as worry, distraction, and temptation. They learn how to replace such harmful thoughts with healthy thoughts. Resist and replace "harmful thoughts"
Replacing harmful thoughts with healthy thoughts. Available on CDBaby, iTunes, Google play YouTube, and Amazon. Songs and Lyrics courtesy of Anna Purdum. All Rights Reserved. Used with permission from the publisher. As adults, we often recognize the effects our thoughts have on our choices and feelings. Healthy Thinking Kids is a great way to give children that same ability by teaching them tools, skills, and practices that can eventually become habits. Healthy Thinking Kids is a rich resource for parents and church leaders, and I fully endorse it! I LOVED the videos! They're beautiful and so easy to use. Everything about it is fun to watch - colors, sounds, music, fun kiddos... I'm really blown away by what you've created and can't wait to share these with friends! HTK is an incredible parenting tool (and for myself)!!! 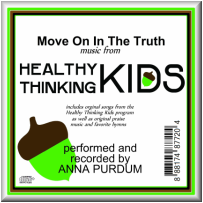 Healthy Thinking Kids is a breath of fresh air. Rather than suffocating children under the constraints of a legalistic system, Healthy Thinking Kids encourages the proper biblical motivation of Gospel-focused grace. Healthy Thinking Kids offers simple steps to help parents cultivate an environment in which their child’s heart and hands may be transformed by God’s grace. I wholeheartedly endorse the Healthy Thinking Kids model of developing appropriate thought patterns for children. I believe this model would benefit both children and parents alike. HTK has enabled me to speak with my children about their thoughts and emotions through an easy to understand "common language". They have learned the "language" of healthy thinking almost without realizing it. I am very grateful for this program! Healthy Thinking Kids is an excellent resource for families, Christian leaders, and counselors using a second-wave cognitive therapy approach in working with children. I especially appreciate how seamlessly a Christian worldview is integrated with good mental health skills. The music is engaging, the content is excellent, and the video segments are interesting. I am pleased to give HTK my enthusiastic endorsement. I love the idea of empowering my children with helpful tools at a young age. Establishing healthy thinking patterns is truly life changing. I wish I would have had these tools as a child! Healthy Thinking Kids is much needed, and it seems to have the right approach. Healthy Thinking Kids is a fantastic resource for my wife and me to help our three children with challenging thoughts. These are lifelong skills we know they will take into adulthood. I would recommend it to any family wanting to help their children fill their minds with God’s truth as they carry on with their journey of life. Healthy Thinking Kids helped my 8-year old, and it helped me! I've struggled with anxiety my entire life and I've found it incredibly beneficial. Any child would benefit from this program! 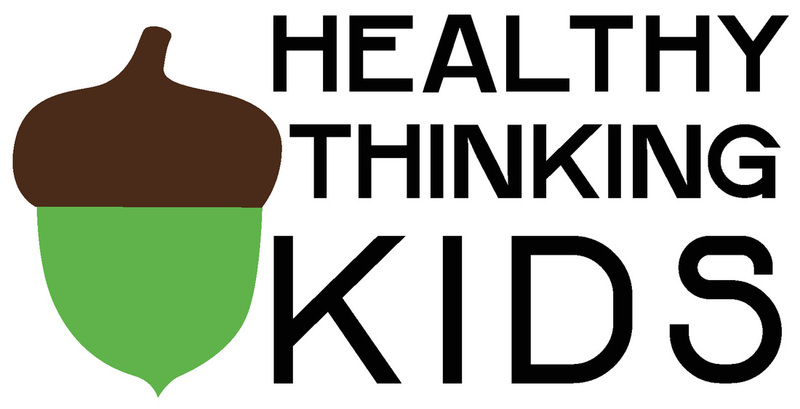 Healthy Thinking Kids integrates solid, professional strategies in a way children can enjoy and actually use. It is one of the best faith‐based cognitive programs that I have seen. This is a great program for any church, school, or family.